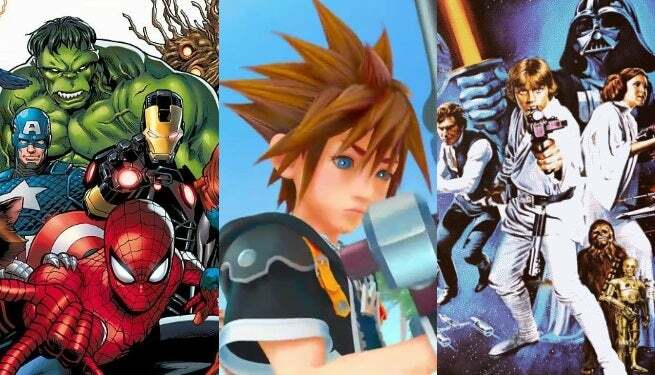 In an interview with Kotaku in London, Tai Yasue, co-director and game designer on Kingdom Hearts III, revealed that Marvel and Stars Wars character and worlds were being considered for inclusion in the long-awaiting video game sequel. Yasue, at first, spoke generally about the breadth of material offered by the Disney license. When asked more specifically about the inclusion of Marvel and Star Wars properties, Yasue confirmed that they were within the realm of possibility. Kingdom Hearts is the Japanese action-RPG video game series, created by Tetsuya Nomura, where the player takes control of a young protagonist, usually Sora, and travels through a multiverse made of worlds from Disney properties and the Final Fantasy videogame franchise. The player wields a unique weapon, called a Keyblade, against dark creatures called the Heartless. The first game in the series was released in 2002. While many thought the idea to bring together such different and entirely unrelated properties as Disney and Final Fantasy was a recipe for disaster, the game proved to be a breakout hit, leading to a sequel, Kingdom Hearts II, in 2005. The series has seen several spinoffs and remakes since then, but it was only at E3 2013 that the much anticipated third main game, Kingdom Hearts III, was confirmed to be in development, with new footage shown one year later, at E3 2014. Disney’s corporate kingdom has expanded greatly since Kingdom Hearts II was released, so many wonder how many of the megacorporation’s acquisitions will appear in Kingdom Hearts III. We’ll have to wait and see, though, without an official release date, there’s no telling for how long.